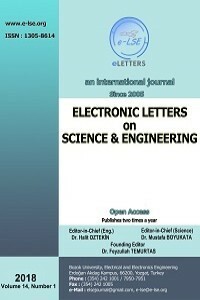 The International Journal "Electronic Letters on Science&Engineering"(e-LSE) reportrs the original research in science and engineering at a high level in electronic form. The scope of e-LSE spans the whole range of science and engineering. The e-LSE includes interdisciplinary topics in a variety of application fields. Electronically published since 2005, e-LSE provides rapid publication of topical research into the integration of science and engineering techniques.